After spending so much time researching the perfect floor covering for your home and shopping around for comparisons, you’ve finally made your purchase. The next logical step is to have a professional installation carried out by someone you trust. We live in an age where DIY endeavors are all the rage, especially with tutorials on many social media platforms. However, when it comes to flooring, are you really willing to risk that investment? We offer some ideas that might help you to understand why going professional is the best plan of action. For customers of Carpets with a Twist, we strive for 100% satisfaction in your flooring experience. From the highest quality materials and accessories, to the well-trained sales staff and expert installers, we want you to know how important your flooring is to us. We already serve the areas of Red Bank, Middletown, Holmdel, Rumson, and Fair Haven. Now, we’ll take the time to invite you to visit us at our showroom in Red Bank, NJ for yourself. Come see how we can help you with your new flooring today. We’ll be the first to admit, some materials are simply easier to install than others are. However, there are some materials that make novice flooring installation a horrible idea. Floor coverings such as carpet, solid hardwood and porcelain tile are the hardest to install, and have the highest specifications for installation. With all these materials, and more, specialized tools are necessary, as is a certain amount of expertise. In other words, to get the job done right, you should have experience in having done it before. For carpet, the special tools are used to make sure the carpet is appropriately stretched, and that seams are connected well enough so as not to come apart prematurely. The lack of stretching can cause your carpet to bunch up in certain places, or go bald in others, and will greatly reduce the lifespan of your floors. Worse still, if you happen to cut a wall-to-wall carpet piece too small, you’ll have to start all over and purchase a whole new piece of flooring. In order to avoid disastrous situations like these, and more, be sure to stop by and speak with a flooring professional today. 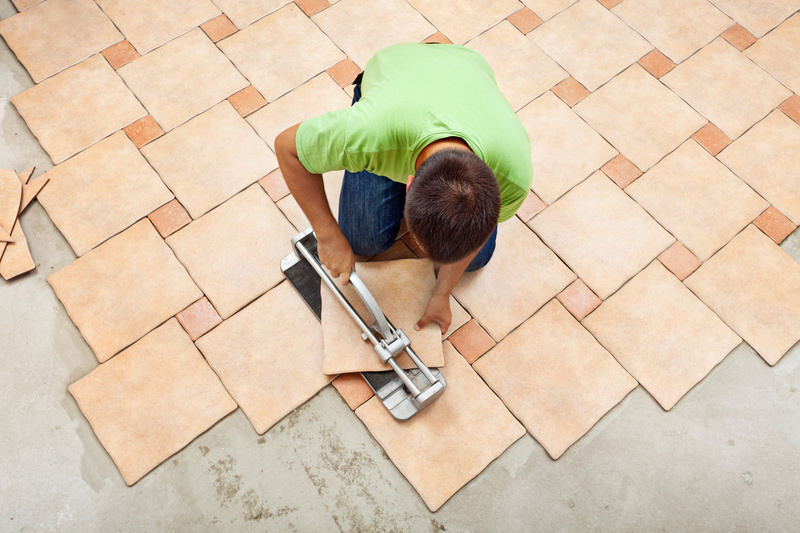 They can explain many more details about the importance of using a professional service for your flooring installation.